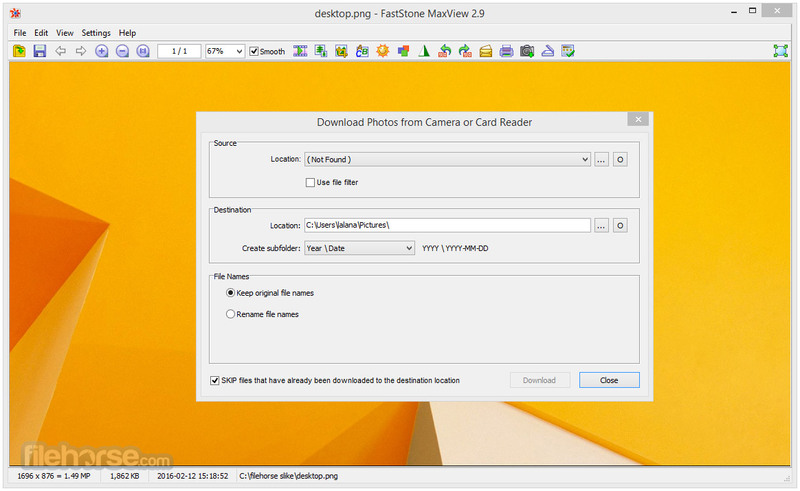 FastStone MaxView is a fast, compact and innovative top image viewer that supports all major graphic formats. Its intuitive layout lets you view images in a variety of ways. It even lets you view images in password-protected ZIP, RAR and 7-Zip archive files directly and instantly, which is a perfect solution for viewing private images. It is a handy tool for quickly viewing, rotating, resizing, cropping, annotating and printing images. View ZIP, RAR and 7-Zip archive files directly, securely and instantly. The best solution to view password-protected private images. Note: 45 days trial version.